The AmazonBasics Two-Door Top-Load Pet Kennel is what many pet parents have been waiting for. 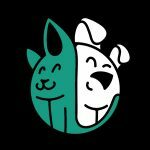 The pet crate provides a combination of rugged construction and thoughtful design at a price that is friendlier than most. 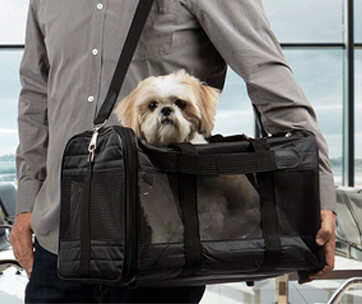 Designed to keep cats or small dogs safe, comfortable, and secure during travels, this AmazonBasics creation continues to enjoy the trust of many pet parents. 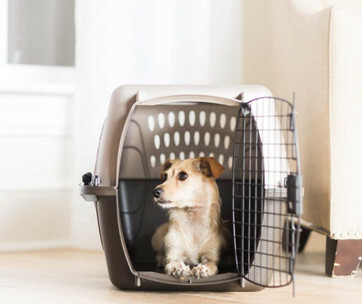 Measuring 23 inches long, 15 inches wide, and 13 inches high, the AmazonBasics pet kennel is spacious enough to provide a temporary shelter for small dogs or cats. 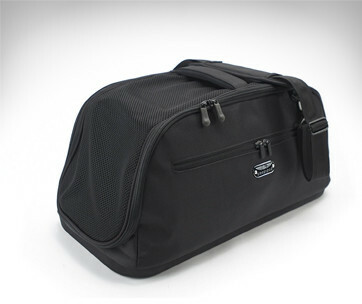 It boasts of durable plastic material, complete with heavy-duty steel-wire front door. Take note that only the front door comes with a different material. The top latch features the same durable material as the rest of the pet kennel. It is easy to see that plastic is by no means sturdier than steel. 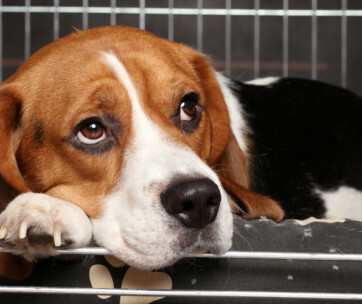 Regardless, the construction of this pet kennel is heavy-duty enough to last a pet’s lifetime. 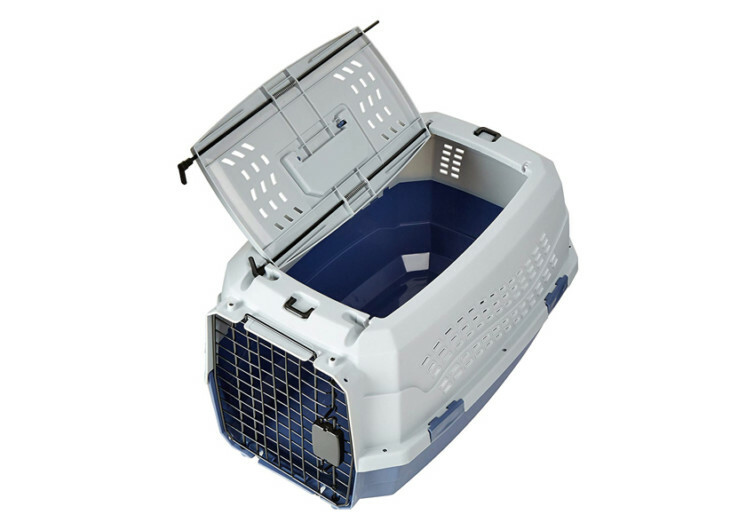 The use of plastic also makes the pet crate a much lighter weight compared to those that use steel. This can enhance its portability. 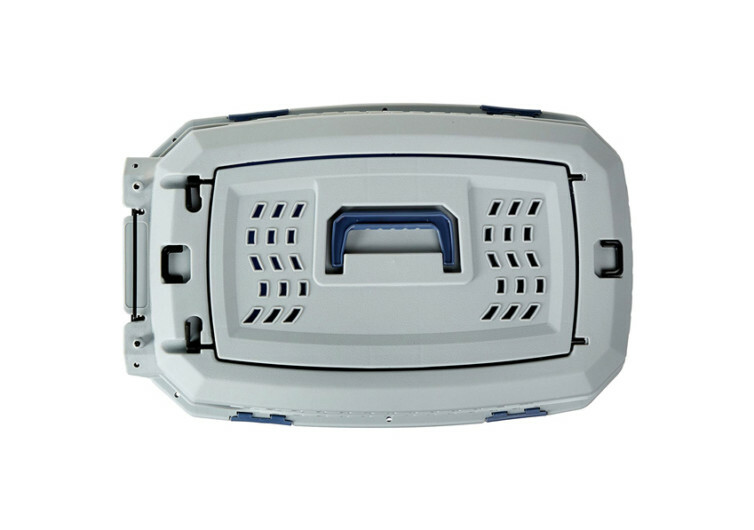 Made of two half-shells, the AmazonBasics pet kennel features four secure latches. These mechanisms allow for the easier assembly and disassembly of the pet crate. When locked, the two halves function like a single cohesive unit. 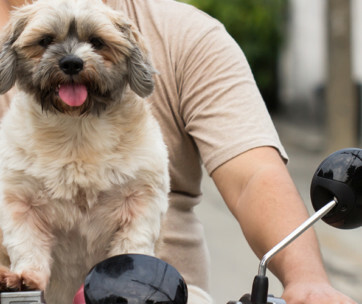 It gives you that peace of mind when it comes to your dog’s safety and security. The upper half of the pet crate features vent holes arranged like the MS Windows 95 logo. 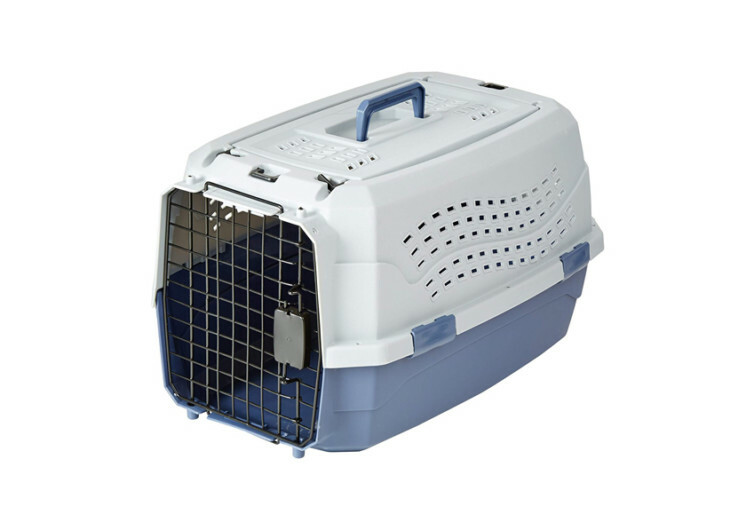 Both sides and the back panel feature air vents to improve airflow inside the pet crate. 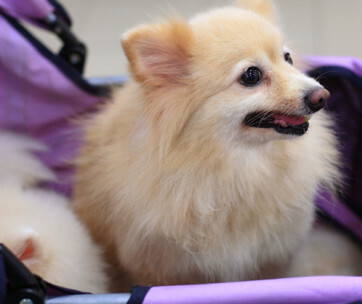 There are also air vents on the top-load door, further enhancing comfort for the pet during travel. Of course, the steel-wire front door can ensure exceptional ventilation for the animal. What is great about this AmazonBasics product is the way the manufacturer designed the top-load door. It integrates a carrying handle for easier transportation. The latch mechanism is secure enough to prevent the pet from escaping. It is also simple enough to manipulate to allow for easy opening. The design helps ensure easier entry for pets, which can help soothe anxiety and stress levels in pets. 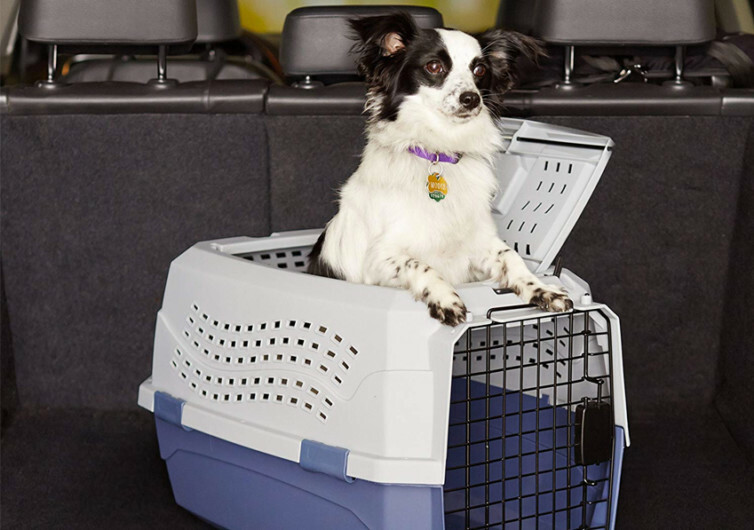 There is nothing fancy about the AmazonBasics Two-Door, Top-Load Pet Kennel. 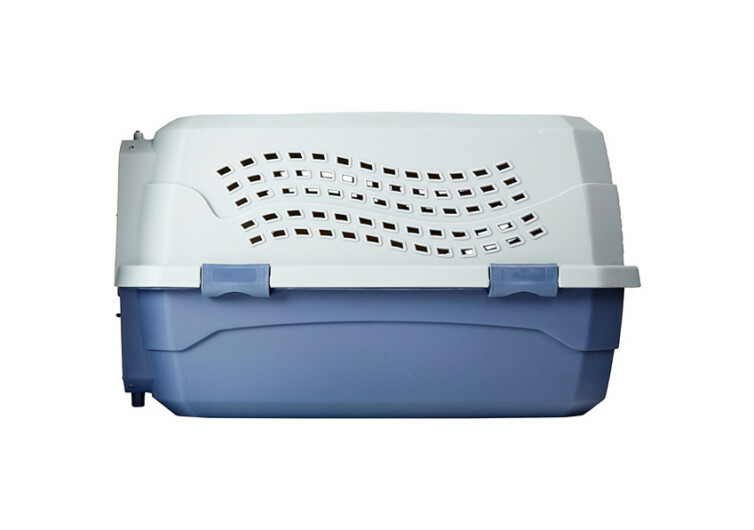 It is a pretty straightforward pet carrier that does an excellent job of providing a comfortable and safe home for your pet. It may be temporary, but it will make your dog feel at home.